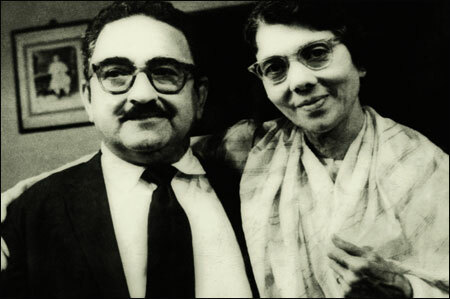 The renowned Parsi artists contributed to the theatre and Indian Film Industry. The theatre is blended with Indian culture for such an extended period. You’ll be amazed to know that Indian theatre has started near about 5000 years back and since then so many talented actors and actresses have given outstanding performances on this platform. Various Parsi actors and actresses are noted on this list. They have made an invaluable contribution to Indian Theatre and Hindi film industry. The development of the Indian theatre is primarily divided into two parts, the classic period and the modern period. The classic time is known up to 1000 A.D. Now we are standing in this modern era or the age of Bollywood. But the British had significant influence in Indian theatre. In the 1850s a small community of great Parsi actor and actresses started acting Shakespearean plays in India. The dance and the song become so popular that they began to perform the same act in Hindi, Gujarati, and Urdu. So today we are going to explore the distinguished Parsi actors and actresses who have contributed to the theatre and movie since long. Boman Irani is one of the most accomplished actors in Bollywood. With his most unusual and compelling roles, he has proved that you can achieve your dreams anytime in your life. Boman was born on 2 December 1959, and before getting success, he struggled a lot in his life. His mother encouraged him a lot to watch films. When he was in school, he went to the Alexander cinema to watch movie regularly. Very few people know that Boman is not only an excellent actor but also a competent photographer and a skilled vocal artist and singer. People got surprised when came to know that this multi-talented person once sold sports pictures just to earn twenty to thirty rupees per day. But today he has already proved that dreams can be real if you have that patience and passion towards achieving your goal. He started his career in theatre. And in 2000 he made his first debut with the film ‘Everybody says I am fine.’ He proved his versatility by playing so many different characters like Jolly LLB, Khosla Ka Ghosla, Three Idiots, Ferrari Ki Sawaari and a lot more. Last but not the least how can we forget Dr. Asthana from the hilarious movie Munna Bhai M.B.B.S? This Parsi actor will always remain in our heart because of his spectacular performances. Another versatile Parsi actor Kurush Deboo was born in Mumbai on 12th September 1963. He is not only a great artist but also counted as one of the well-educated actors of Bollywood. At first, he completed his Graduation in Commerce in Commerce in 1984. After that, he did his Post Graduation in Advertising and Marketing from Xavier’s Institute of Communications, Mumbai. On the very next year, in 1987 he completed his Diploma in Marketing Management from Mumbai University. Before his debut in Bollywood, he also finished the diploma in acting in 1988. This talented Parsi actor made his debut with the film “Percy.” Soon after his first appearance, he got the recognition of the Best Actor in National Awards. But he had become a celebrity after playing the role of Dr. Rustom Pavri in “Munnabhai MBBS.” With his extraordinary performance, he won many hearts and proved his versatility as an artist. Apart from that, he performed in various other films like “Apne,” “Kasoor,” “Page 3”, “Taxi No.9211”, etc. If you are a theatre lover, you must have heard about the Parsi Theatre and the renowned theatre artist Adi Marzban. Nothing can be more exhilarating than the Parsi Theatre which was established in Bombay near about 50 years ago. Though he was an Indian theatre artist, he was a Parsi by birth. That is why acting and the passion was in his blood. This eminent personality was born on 17 April 1914. He was not only an exceptional actor but also a great director, and a celebrated playwright and broadcaster. The government of India was honored him in 1964 with the Padma Shri award. This renowned dramatist was also the author of various remarkable plays such as Maasi no Maako, Mazandaran, Makhai Mohoro, etc. Not only that but he was also the founder of two Gujarati newspapers Mumbai Samachar and Jam-e-Jamshed. This unparallel artist acted over 100 plays, and more than 5000 scripts were written by him for the All India Radio. In the year 1970, he also received Sangeet Natak Akademi award. In February 1987 the Indian theatre lost this multi-talented personality. Till now he is ruling many hearts because of his extraordinary performances. Shammi, a renowned actress of Bollywood, was born on 1931 in a Parsi family. The father of this artist was a priest in a Parsi temple. Her father died when she was just three years old. So to earn money, her mother used to cook in various religious functions. The Parsi communities usually organized these functions. After a lot of struggles, ups and downs in her life finally she got selected for Begum Para. The producer of this film Mukhtar was very much worried about her Hindi speaking skill that time as she was a Parsi by born. But he got utterly impressed with her because she spoke Hindi like it was her mother language. She is indeed an inspiration because this 84-year-old actress still wants to continue her work on a daily basis. This versatile actress played various impressive roles in the movies like Khuda Gawah, Coolie No 1, The Burning Train, Shirin Farhad Ki Toh Nikal Padi and the number goes on and on.